The Gates Foundation’s intervention is timely for Nigeria as its economy is only just beginning to recover from its first recession in more than two decades. Across the country, state governments have struggled to pay workers’ salaries and the federal government is faced with shoring up the deficit of a $23.9 billion record budget in 2018 by borrowing externally. Aliko Dangote, Africa’s wealthiest man. He founded and chairs Dangote Cement, the continent’s largest cement producer. Dangote owns nearly 88% of publicly-traded Dangote Cement through a holding company. His Forbes net worth is estimated at $14.3 Billion. (America’s wealthiest African American is Oprah Winfrey who’s Forbes net worth is estimated as $2.9 Billion). Bill Gates has a estimated Forbes net worth of $92.3 Billion. 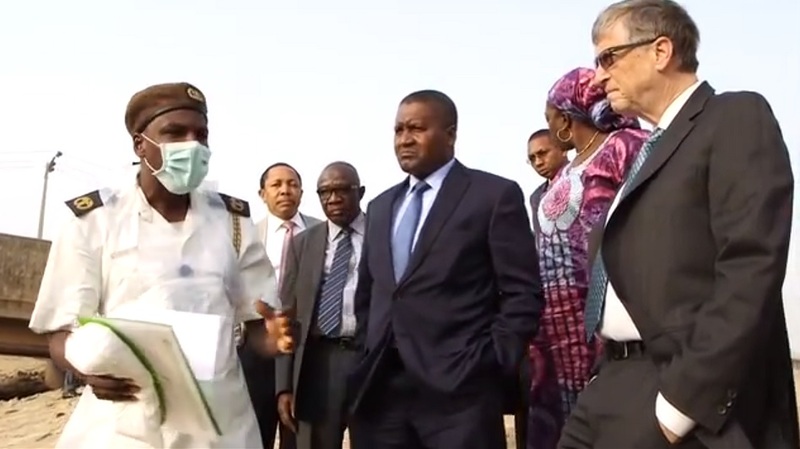 In 2012, Dangote Foundation and Bill and Melinda Gates Foundation agreed to provide funding, equipment and technical support to the Kano and Bauchi state government to strengthen polio immunization.